Did The US Government Ever Plan to Use The Atomic Bomb on Germany? The atomic bomb created by the Manhattan Project was the most powerful bomb of its time. The United States used two bombs called “Little Boy” and “Fat Man” on Hiroshima and Nagasaki. The bombing led to the surrender of the Japanese, officially ending World War II. The power of these bombs has led many people to wonder if the US government ever considered using them on Germany. There is no definitive way of knowing if this was ever a serious idea. However, we could theorize on whether it was possible by looking at the timeline of the atomic bombs and some of the records that we do have. Realistically, based on the timeline of the atomic bomb creation, there seemed little chance that Germany would be a viable target. 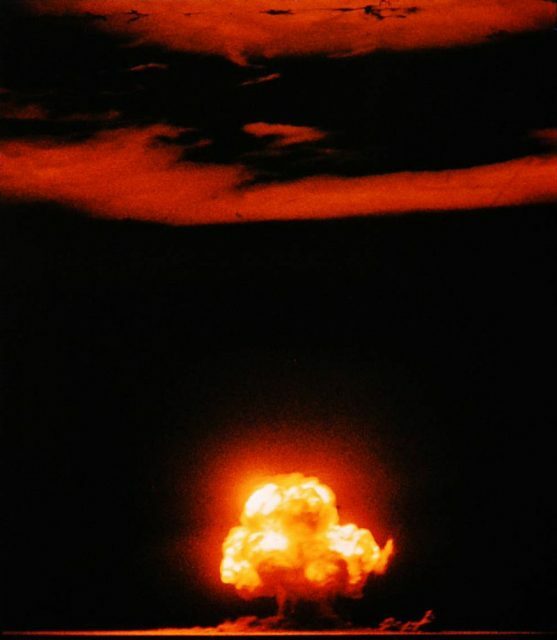 The first successful test detonation, the Trinity Test, in New Mexico only occurred on July 16, 1945. By this time, Germany had already officially surrendered and ended their participation in the war. 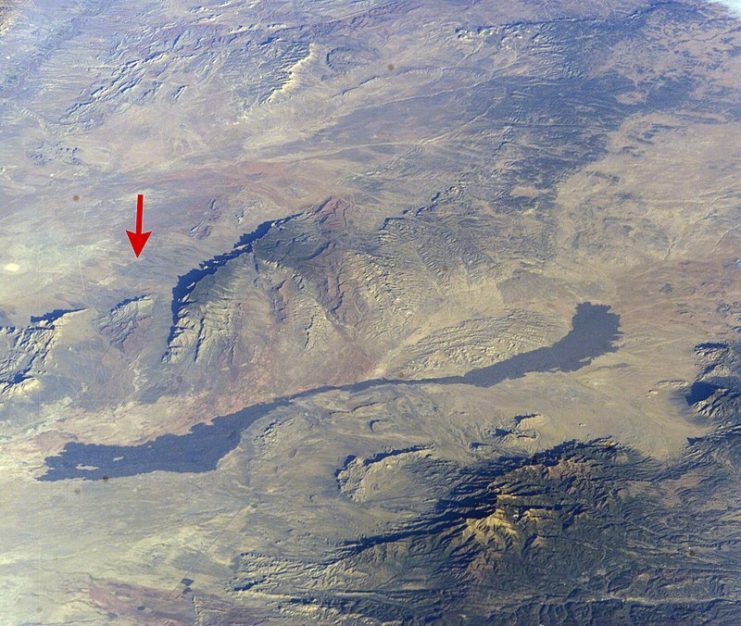 Trinity Site (red arrow) near Carrizozo Malpais. However, the fact that the bomb was not ready before the surrender does not automatically mean that Germany was not a target. The fact that the earliest known discussion of targets was in May 1943 does lend some weight to Germany being a possible target. This discussion was the last item on the agenda of a meeting covering a number of matters. During this discussion, the general view seemed to be that the best point of use would be the Japanese fleet in the Harbor of Truk. Tokyo was suggested by General Styer, but this was rejected. Those in the meeting seemed to believe that, compared to the Germans, the Japanese would not be as capable of securing knowledge from the bomb if it did not detonate. 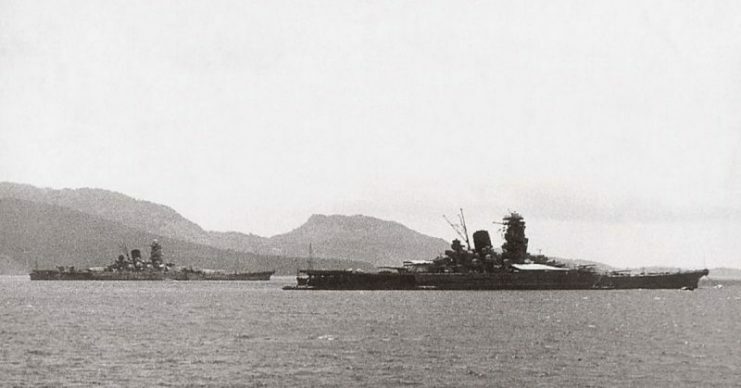 Yamato and Musashi anchored in the waters off of the Truk Islands in 1943. This mentality would have been boosted by the fact that the US was sure Germany was also developing an atomic bomb. 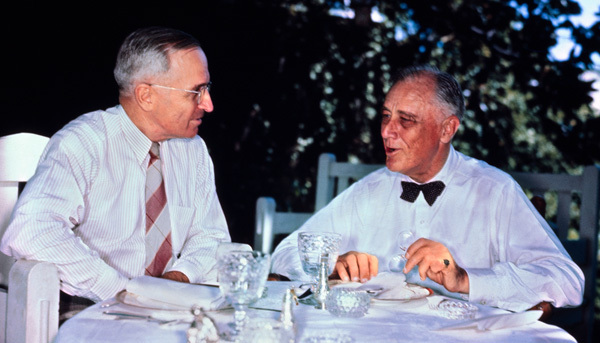 In fact, Vannevar Bush reported to President Roosevelt in 1943 that the Germans might be on par with or even ahead of the US in the arms race. This certainty would change by the next year when the Alsos mission found that Germany was not close to building an atomic bomb. The discussion held in 1943 is often seen by people as a clear sign that Japan was always going to be the target. However, this loose discussion was still theoretical as there was no working bomb. It would be another two years before concrete plans would be made. Fat Man on its transport carriage, with liquid asphalt sealant applied over the casing’s seams. The first real discussion of targets would only happen in the spring of 1945. By this time, it was clear that German defeat was imminent and this would make bombing the country moot. The discussion took place in the famous Target Committee meetings and was entirely focused on Japan. Much of the evidence of target planning seems to point to the fact that Germany was never really considered as a target. 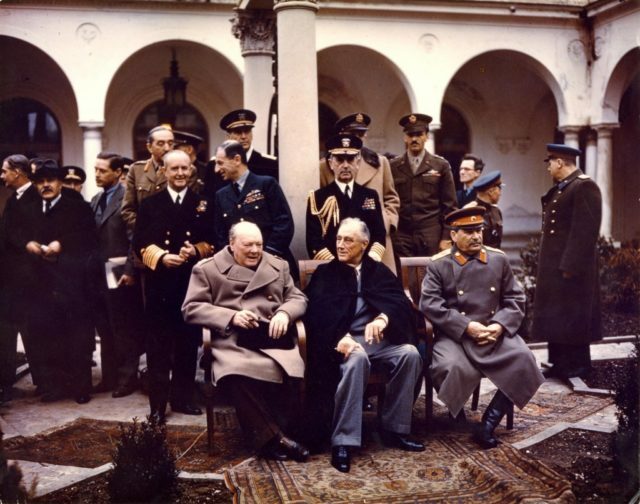 However, at the Yalta Conference, President Roosevelt did state that if the bomb had been ready in time, he would have ordered the military to drop them on Germany. British Prime Minister Winston Churchill, US President Franklin D. Roosevelt, and Soviet Premier Joseph Stalin at the Yalta Conference in Crimea in 1945. General Groves expanded on this in a post-war interview. He stated that Roosevelt was disturbed by the Battle of the Bulge and wanted to know if Germany could be bombed in addition to Japan. Groves states that the commanders believed that the war in Germany was almost over and that Japan would be a better target. This was also based on the construction of Japanese buildings and the strong aerial defense Germany had. 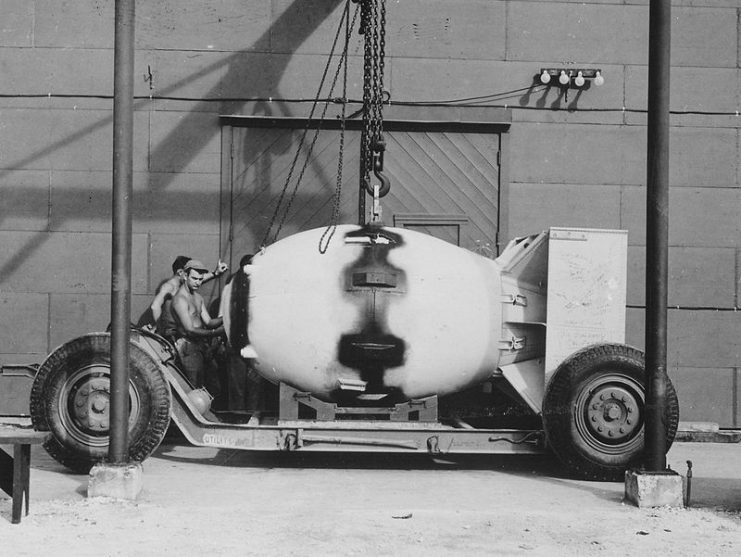 To carry the Little Boy and Fat Man bombs, B-29 planes had to be modified. They were the only planes capable of carrying such large bombs. There were no B-29 planes in Europe which made the logistics of bombing Germany impossible. The defense offered by the Luftwaffe would also have made it very hard to get the bombers into position. B-29 Superfortress Enola Gay 82. 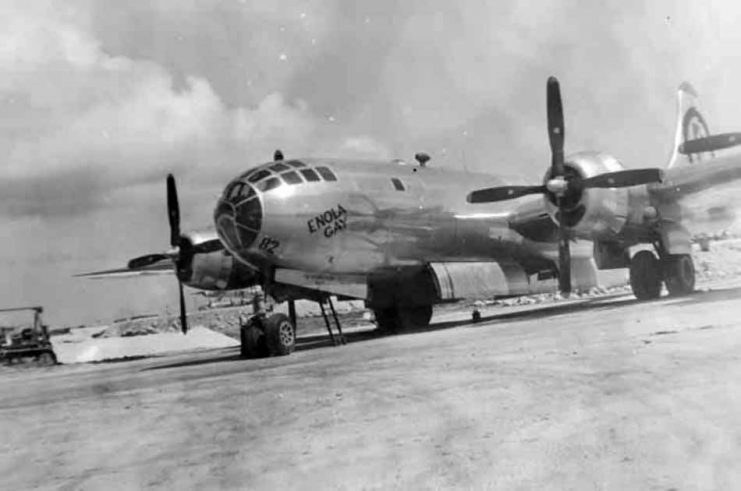 To carry out this bombing, B-29s would have to be sent to England which would have been a major logistical task. The other option would be to use a British plane to carry the bomb, and this would have raised further difficulties. With all of these problems stacked against targeting Germany, this idea was never seriously considered. The US government using the atomic bomb on Germany is an interesting idea. However, practically and logistically, it was never a viable option. The first successful test of the bomb only occurred after the European war was over, and most of the targeting discussions focused on Japan.